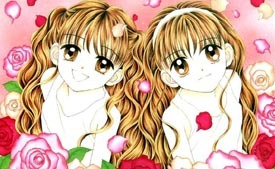 She currently still publishes in the pages of shoujo manga magazine Ribon. 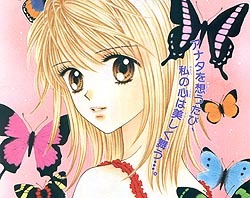 Ultra Maniac is the newest manga by Yoshizumi Wataru, and it's been published in Ribon since it's February 2002 issue. Ultra Maniac will have an OVA adaptation shown at the Ribon 2002 Festival event, on the 6th and 7th of August in Tokyo's Big Sight complex. Manga synopsis here. Mint Na Bokura (We Are Mint). July 1997 - February 2000. 6 volumes. Manga synopsis & translations, image gallery, character guide and more can be found here. ISBN numbers of the Japanese and Chinese tankoubon here. 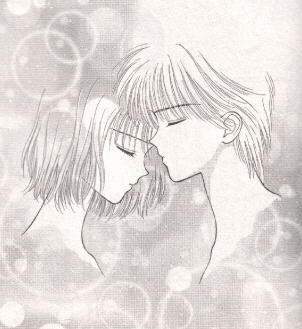 Marmalade Boy is an 8 volume manga. It originally ran in Ribbon from May 1992 to October 1995. In 1994, it was made into an anime which ran for 76 episodes in Japan from March 13, 1994 - September3, 1995 on the Japanese channel FujiTV. There was also a 30min movie shown in Japanese theaters. 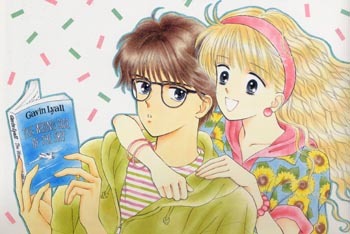 Tokyo Pop has acquired the American distribution rights to both the Marmalade Boy manga and anime series. 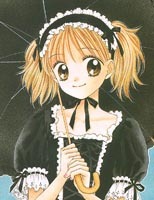 Volume 3 of the manga is due to be released 09/17/2002. Go Go Kenji-kun. September 1991. 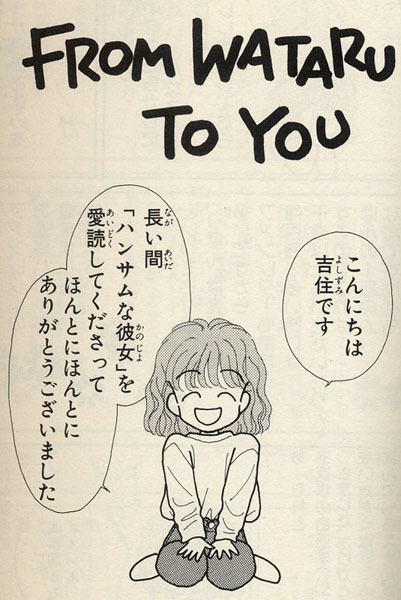 Handsome Na Kanojo (Handsome Girl) is a 9 volume manga which was published in Ribon November1988. There was one 36min OVA made in 1992. (fansubbed by Tomodachi) Here is an image gallery I put together. Tenshi to Bouken. Fall 1987.